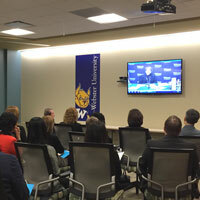 Members of the 2016 cohort of the Global Leadership Academy continued their first week of in-person work together, with a focus on a comprehensive understanding of the Webster University network while honing inclusive communication and leadership skills. 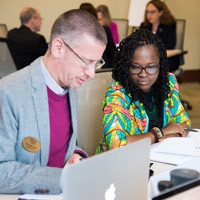 After "meeting" online through WorldClassRoom this spring, the fellows have spent this week hearing from different University areas and outside leadership and inclusion experts. 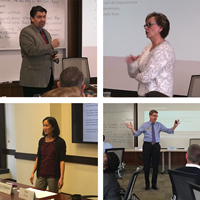 The 2016 cohort of the Global Leadership Academy met as a group in person for the first time Monday, kicking off a week of sessions for leadership development at the home campus in St. Louis. 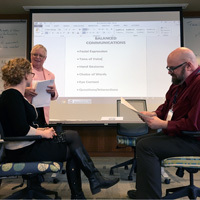 GLA fellows are selected from faculty and staff each year for a program that helps them lead successfully in their roles and positions within the University.